Although cold weather hasn’t rolled around just yet, it’s lurking right around the corner. If there were ever a time for you to install a new heating system, now would be that time. Are you thinking about installing a heating system? Not sure of what’s available out there? There are a variety of heating systems on the market today, all of which come with their own upsides and downsides. To help you decide which system is best for you, we’re going to review several of them. Read on to gain an understanding of the different heating systems in Westmont, Illinois. The most popular heating system available is the gas furnace. Gas furnaces work by producing heat in a central location, and then distributing that heat through air ducts in your home. Because of this, a single furnace can generally be used to heat an entire residence. Gas furnaces are typically rather inexpensive to install relative to other heating methods. However, because they require a great amount of gas to operate, they are generally more expensive than heat pumps in the long run. A form of heating that has been around a long time but which has evolved and grown in popularity as of late is radiant heating. 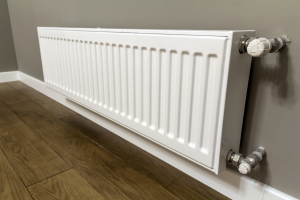 Whereas radiant heating once worked by passing hot water through specially-designed radiators on the sides of your walls, radiant heating now works by passing heat through your floors and walls themselves. In essence, radiators are installed under or inside surfaces, allowing for essentially invisible heating. The heart of radiant heating is typically a boiler, which is a large tank that heats up water and passes it through pipes. While radiant heating systems are useful, they tend to be a bit on the expensive side. If you don’t mind going old-school with your heating, you might consider using a wood burner. A wood burner is quite simply a stove that can be used to burn wood pellets, producing heat for your home. While wood burners can be useful, they struggle to accommodate any more than the room in which they’re placed. In most cases, you’ll find wood burners in rustic cabins. These small heating devices can be used to heat individual rooms. They are plugged into standard electrical outlets and are generally fairly inexpensive. However, electric space heaters are not designed to be permanent options for heating. Not only can they be dangerous, they can use a lot of electricity as well. Not to mention, they’re only capable of heating one room at a time. If you’re looking for a heating system that can also be used to cool your home, you should consider investing in a heat pump. These are the only systems that are capable of producing both heat and cold. Heat pumps are extremely efficient, utilizing only small amounts of electricity in order to function. Because of this, they cost relatively little over time. Though upfront costs can be expensive, the long-term costs of using a heat pump are generally lower than what you’ll find with furnaces or boilers. Have you decided which type of heating system is right for you? Interested in utilizing heating installation company in Westmont, Illinois? If so, we here at Hearthstone Heating & Air Conditioning are the people to see. We’ve been serving the Westmont area since 1996, offering nothing short of spectacular service along the way. Whether you’re looking or a gas furnace or a radiant boiler system, we can accommodate you.